To finish out our posts about Oregon, I have to include something about the brown water. The water in our campground came from a well, it was safe to drink according to the monthly testing. It was a bit hard to swallow though because it came out of the faucets with a brown tint and smelled like a bucket of rusty nails. I joked with the campers that they didn’t need to eat as much spinach since they were getting their iron from the water (the kids loved it). To be fair, when you have very old wells drilled beside a volcano, Mt. Hood, I think you should not be surprised to find it high in mineral content. We just didn’t want to drink the crunchy water, but plenty of folks did and said they were used to it. Our campground actually had a pump and was plumbed for running water throughout, but most of the other campgrounds had hand pumps for campers to fill their water containers with. The hand pumps had much darker water than ours did, coming out of the pump looking like a muddy river after a heavy rain. The iron in the water stained our shower in the bus, clogged our sprayer in the kitchen sink, and stained the stainless steel water bowl for the dogs. Now, I tell you this to preface our video for the Berkey Water Purifiers we love so much. This is the sole reason we decided to become distributors for these systems after using ours for a few months. After sending the brown water through our Berkey, it came out clear and the bad taste was nowhere to be found. The best part was watching the sludge form on the elements in the system as we were using it. Cleaning it was an eye opening experience so we captured the process on video for everyone to see. 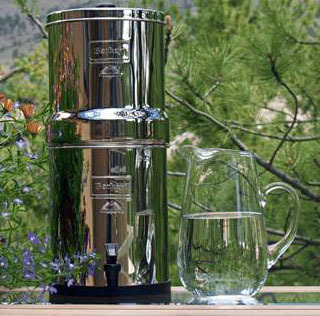 CLICK HERE to see the Berkey products we offer. In our travels, it has been nice to know we don’t have to buy drinking water, we are able to reuse our stainless water bottles. Our water always tastes the same and we know it is safe. When we are in a location without water we don’t have to worry about bacteria getting in our fresh water tank and making us sick. Chas has happy SCOBYs in her Kombucha brew (more will come about this in a future post, I promise). Our family drinks mainly water, we rarely buy soda or juice, if it is hot and I am working I will drink over 2 gallons per day by myself. Here is a link for a previous post detailing how much you could save in waste produced by getting away from buying bottled water. Being able to have the capacity to meet our demand for drinking is great, but we also use it for cooking and espresso (a very important use). We even have enough capacity to supply neighbors with pure water for their needs too, which we are happy to do. 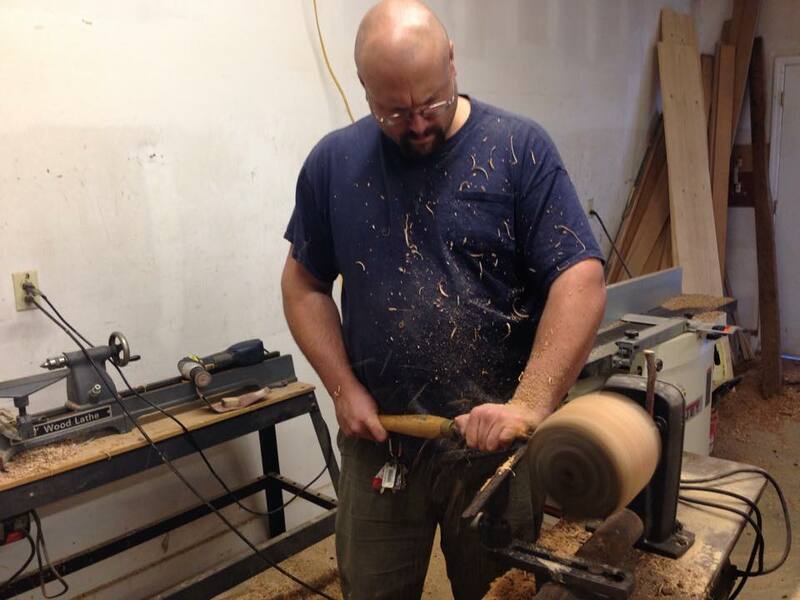 In the video above, we are offering a discount code for your Berkey order. Let me know if you have any questions about the Berkey systems. If you own a Berkey, please feel free to comment on this post letting everyone know your experience with your system. This entry was posted in Berkey Water Purifiers, Camp Cooking, Discounts, General Information, Product Review, Products We Sell, Workamping on April 13, 2014 by Jody. Earth Day Special Sale ! Please stay tuned for additional special offers. and Breathing Mobile Washer Products. Enter EARTHDAY in the coupon code box before checkout to receive a %10 discount on your order. We always offer FREE SHIPPING for any orders over $400, the discount is automatically applied. This entry was posted in Berkey Water Purifiers, Discounts, Festivals, Products We Sell, The Breathing Mobile Washer on April 21, 2013 by Jody. When deciding what items would make the cut while putting our stuff in the Bus, our boxes and boxes of books didn’t make it. They are heavy and take up a lot of space so we decided to bring a few along with plans to donate them along the way as we read them. We also decided that e-books would be an organized way to get our reading fix in a small space. We would love to find a good source to get access to lots of e-books for good deal and so far we have only used www.pixelofink.com that lists free and reduced kindle books regularly. We have the free Nook and Kindle apps on our computers and have found the classic books for free but we are still looking for a way to get newer e-books. 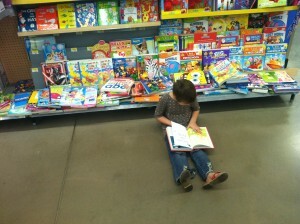 Sometimes we go hang out in a book store or the book section in Walmart to see whats new. One of the things we have greatly missed while being on the road is having a local library and being able to check out books/Dvd’s/audio books. As the girls have grown up, the library has been a place for us to attend programs and meet new friends in the areas we have lived. The library has been a valuable resource in exploring new interests, gathering information on particular subjects,discovering new authors and reading entire series of books. We have very much appreciated the amount of savings we have enjoyed by being able to borrow books instead of having to buy each one we wanted to read. Some of the series that we have enjoyed with the girls are Dinotopia, Magic Tree House, Little House on the Prairie, Junie B. Jones, Sara, Hank the Cowdog and Julie of the Wolves just to name a few. We were all very excited to go to the Library here in Kansas and get Library cards to check stuff out for the first time since we left NC. 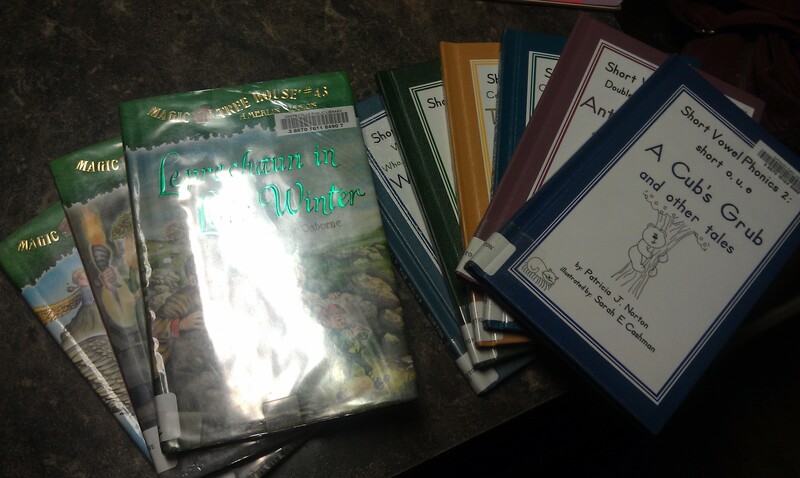 We got to go to the Library as a whole family because Jody was with us instead of at work like he use to be. The girls enjoyed having us both available to them so they could get more 1 on 1 time instead of just sharing Momma. Spending more time together as a family is one of the many benefits we anticipated while traveling. 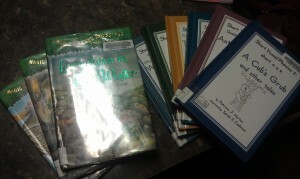 We each left the Library with a sack of entertainment that we look forward to diving into. We took a picture of the contents in each bag so we could have a visual reminder of what we would need to include on our return trip. I type this post as Daddy-O and the girls are reading Guinea Dog 🙂 one of our Library books. What books have you enjoyed lately? 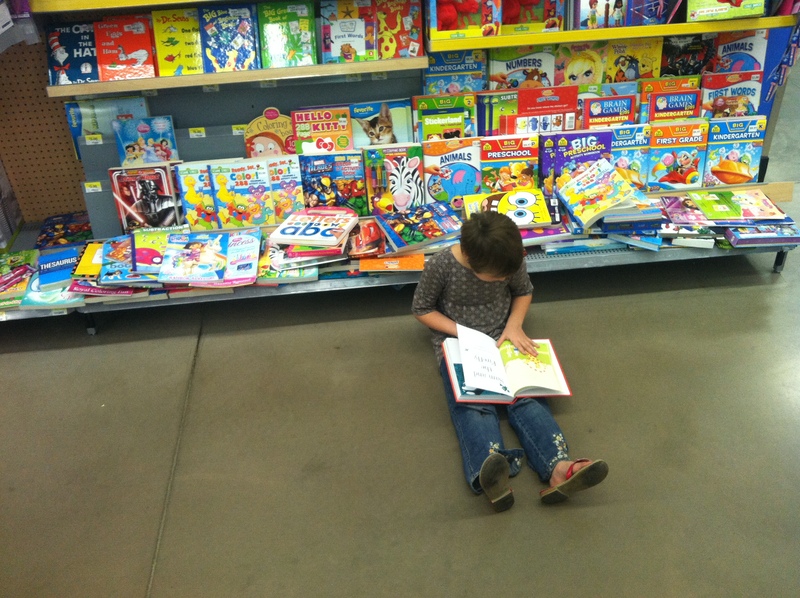 This entry was posted in Discounts, Education, Family Fun on November 21, 2012 by Chasity.